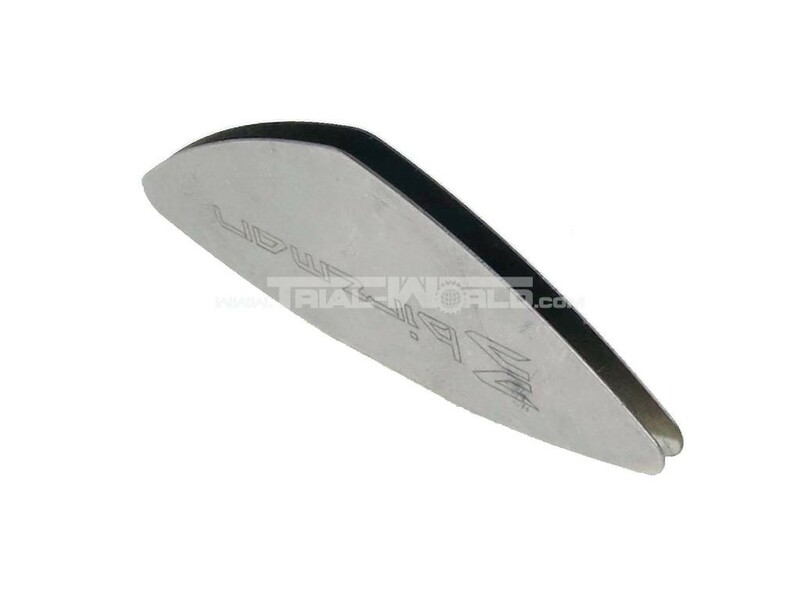 This practical stainless steel sheet clam is placed over your disc rotor. It simulates the air gap for the brake caliper adjustment. Pull your brakelever strongly and tighten your caliper bolts alternating. Afterwards spin your wheel and remove the clam. 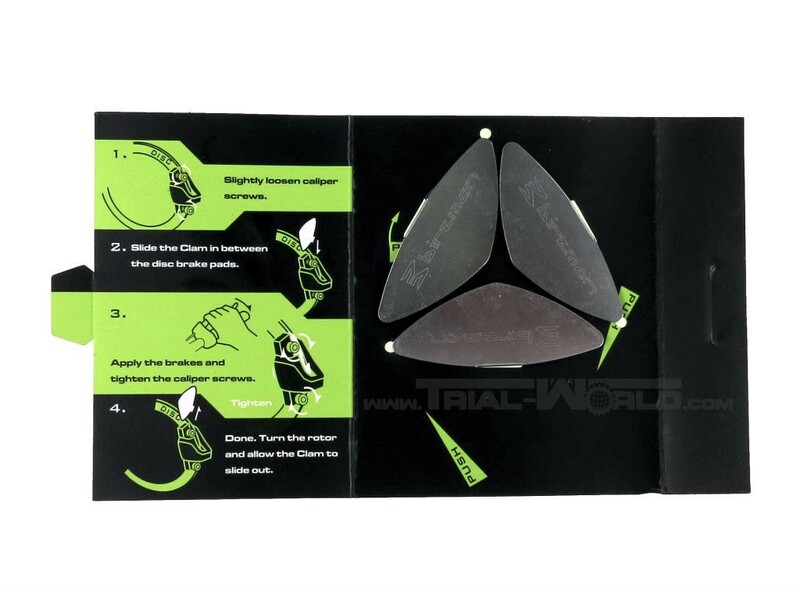 In the ideal case your rotor has now the exact same inner and outer distance to your brakepads and rotates grindfree! 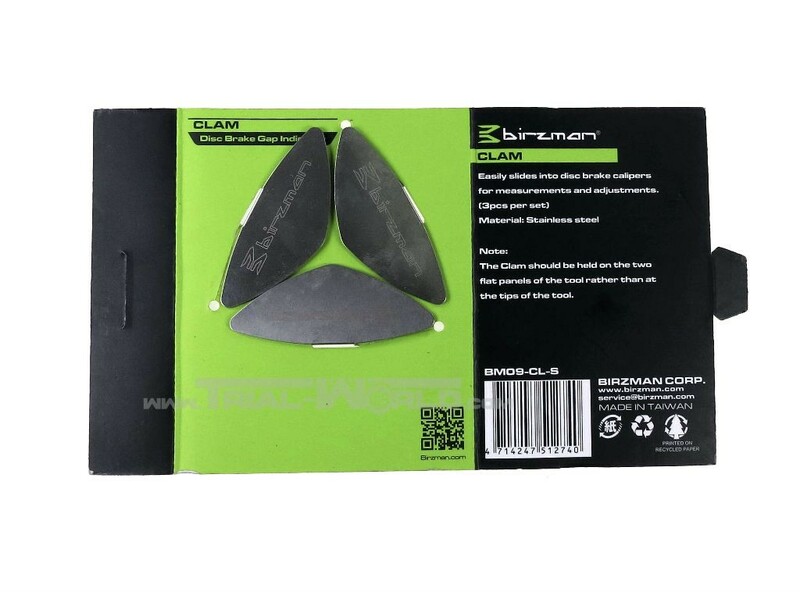 This set contains three of these clams.